I've climbed mount snowdon several times in the past few years, Wales is an amazingly beautiful place to visit and its allot closer than my favourite places in Scotland. 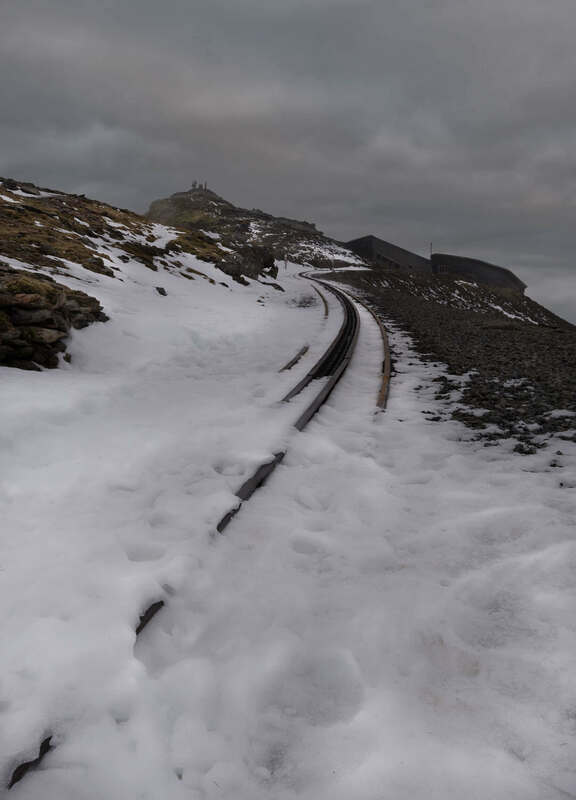 The small railway on snowdon was closed due to the snowy weather which allowed me to wander on the track and try out a few different shots. I like the composition of this photograph and love the way the rail on the bottom left leads the viewers eye up towards the people celebrating at the summit. I got down really low into the snow and set the camera up on my tripod, I focus stacked the image and focused on the foreground to get it super sharp and then re-focused on the summit area. In post I blended these images together to get the image sharp throughout.